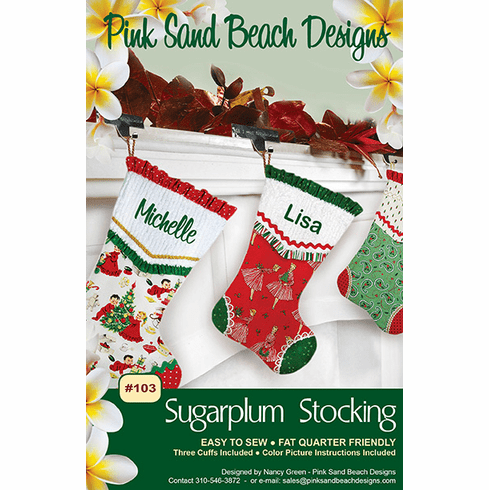 Don't miss Christmas in July to start making holiday stockings. Easy and fun to sew. Uses 1/2 yard each of outside and lining fabrics.